*Note: The show has since concluded. You can now read back on all the happenings from throughout the gala. 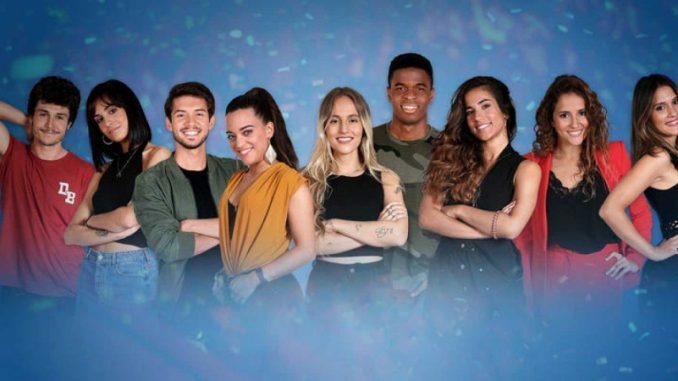 Welcome to the live blog of the Operación Triunfo Eurovision Gala 2019. I’m Joshua Mayne, and I’ll be keeping you informed throughout tonight’s show. You can watch the show live through this link or via this link. The gala kicks off at 10pm CET. 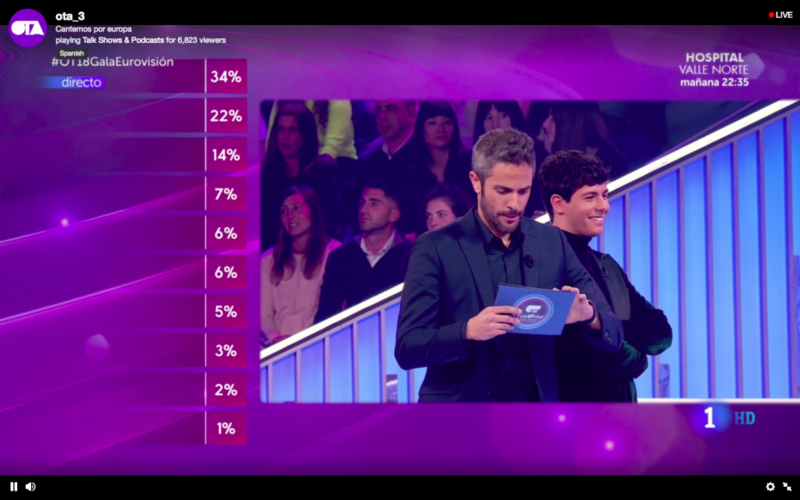 After tonight, the winner will have the option of representing Spain at the 2019 Eurovision Song Contest. 00:30 CET: That is all for tonight – thank you for following along! Below is the performance of La Venda. 00:27 CET: La Venda wins with 34% of the vote! This is the voting split. 00:15 CET: Voting lines are now closed after Eleni Foureira’s interval performance. 23:45 CET: Voting has now commenced. Who is your favourite, and who do you think will win? 23:42 CET: To close the show is arguably the fan favourite entry titled Muérdeme. María’s performance certainly matched the nature of the song, and it was overall a strong entry. However, it was slightly repetitive and didn’t exactly feel authentic. Certainly still a competitior though with its popularity and infectious melody. 23:30 CET: And now for the first and only duo performance of the night. Nadie se salva by Miki y Natalia combines modern and distinctly Spanish elements, which works well. The colourful staging suits the entry, however Miki looks a little out of place with his outfit and also when executing choreography. Another crowd favourite, though (and for good reason). 23:23 CET: Carlos Right’s entry Se te nota is definitely radio-friendly, but falls a little flat live on stage. It’s enjoyable, and could still attract votes, but it doesn’t offer a strong enough hook. Big thumbs up for the purple jacket, though. 23:15 CET: Hoy vuelvo a reír otra vez by Noelia is the next entry, and she elevates a potentially forgettable song with a very strong and emotional vocal performance. You can feel every word she sings (even if you don’t speak a word of Spanish). As far as a performance of a ballad goes, this was exceptional. A contender? Possibly. 23:05 CET: Miki smashes it out of the park with his entry La Venda. The energy, vocals, staging and overall performance ARE brilliant. It’s fun and authentically Spanish. It will take something special to beat this – the crowd was buzzing, and the jury loved it too. 22:58 CET: Qué quieres que haga is a little slow to develop, however Julia delivers an almost perfect vocal performance to lift the song. She definitely sells it through emotion and pure vocal ability. Although there is intensity by the final chorus, will it be enough to convince the voters? 22:49 CET: Natalia convincingly sells her entry through a strong display of choreography. La clave is distinctly modern, and the slick and well-rehearsed staging works well with it. The song is a little jarring at stages, however its edginess may give it a point of difference amongst voters. Natalia’s strong stage presence definitely lifted the song. 22:41 CET: The winner of Operación Triunfo, Famous, now performs his entry No puedo más. His strong vocals in the low and high register are showed off, and the style of the song suits his on-stage personality. It possesses an infectious melody, which is highlighted through the simple staging. Famous also manages to command the stage with little movement. 22:30 CET: Hoy soñaré by Sabela is next up, and continues the high quality nature of the show. This song needed a strong vocal performance, and Sabela provides that aspect. The entry is a little repetitive, but the song’s intensity does build up nicely as it progresses. On another positive note, it exudes similar qualities to Pastora Soler’s popular 2012 entry Quédate Conmigo. 22:23 CET: Marilia starts tonight’s show in an energetic spirit with her entry Todo Bien. The choreography matches the nature of the song, and the performance is very smooth overall. She receives a deserved positive reception from the crowd. A very strong opener. 22:17 CET: Spain’s 2012 contestant Pastora Soler is part of the four-person panel who will be providing their thoughts tonight after each performance.